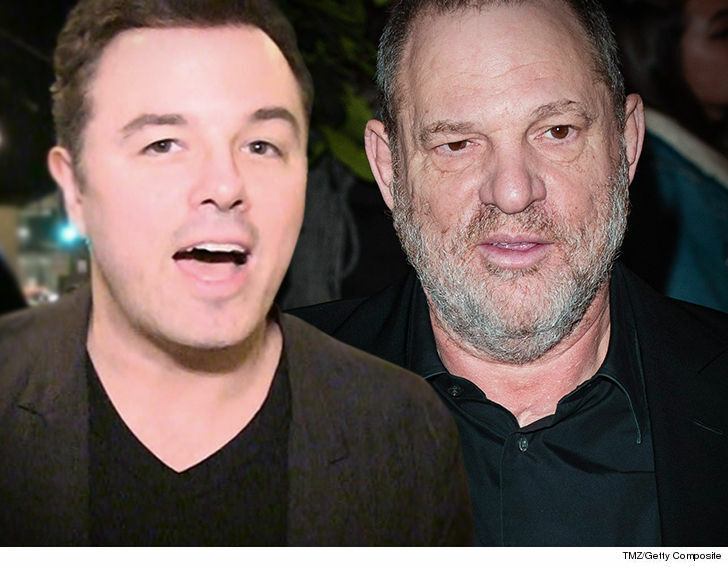 Seth MacFarlane says his joke about Harvey Weinstein at the 2013 Oscar Nominations wasn’t just meant to be funny … it was a deliberate shot at the Hollywood honcho on behalf of his friend, Jessica Barth. MacFarlane claims Barth — who he’s worked with on “Family Guy” and the “Ted” films — confided in him in 2011 about Weinstein’s attempted advances … and it pissed off Seth so much, he ripped Weinstein at the Oscar noms event. As we reported … MacFarlane joked about Weinstein’s sordid reputation for making moves on actresses. Now, like countless other celebs, he’s speaking out against Weinstein and commending the women who’ve come forward.